A cafe can use tall planters to define an outdoor seating area. Planters and window boxes do a lot to dress up a home, but they can also make your business storefront pop. Window boxes and planters introduce a little color and life to an otherwise dreary sidewalk or asphalt parking lot. They can also slow down pedestrians, people who may walk by every day but have never really noticed your business before. Decorating the outside of your business with plants often attracts people who might otherwise keep walking. 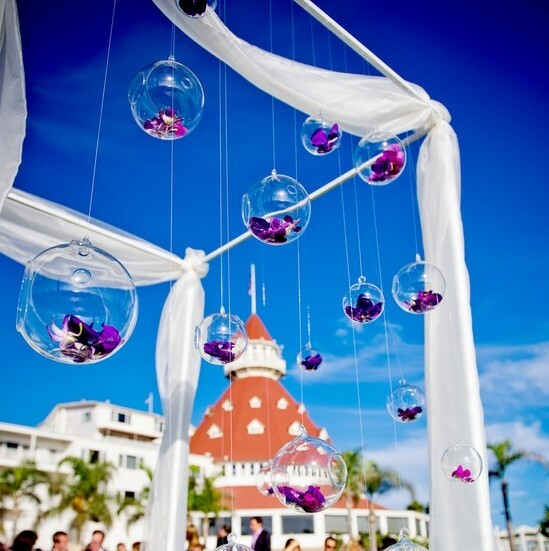 No matter the business you’re in, plants can make a huge visual impact. Just like signage and product placement, your window boxes and planters will magically transform your business, if you choose both plants and planters carefully. Cheap-looking discount planters often warp or bleach in the sun, making your storefront look faded and tired. Spend a little extra on heavy-duty, fade resistant window boxes and planters made from natural materials like copper or tough composite plastics to give your business a professional makeover. 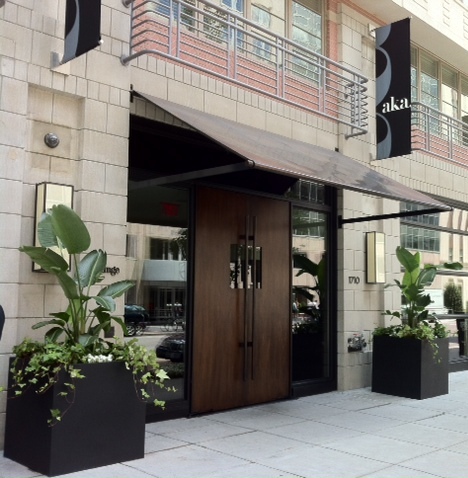 To dress up the entrance to your business, flank the door with large planters. Once you’ve selected some nice window boxes and planters, sized appropriately for your business, it’s time to pick the plants. If your business is one of the many that has a scent all its own, you may want to choose your flowers and greenery carefully. There are certain smells that just don’t work together, so before planting your selections, sit outside your business with them to make sure they don’t alter your signature fragrance for the worst. If you’re running a restaurant or a bakery, where you rely on the smell of food to attract passersby, you may want to avoid heavily perfumed flowers for several reasons. First, the smell of some flowers may overwhelm your oven-fresh cookies or alter the scent until it’s unidentifiable. Secondly, flowers with heavy, sweet scents attract bees and other stinging insects more readily than their lesser perfumed cousins. If you intend to place flowers near your door, choose lightly scented species like calla lilies, gazanias, hybrid mulleins, pansies, hybrid petunias, poppies or tulips. Smell your plants before purchase, to ensure they aren’t rare, strongly scented individuals. Grasses and foliage plants also make excellent choices for these high traffic areas, since they’re not likely to be damaged by passing flower pickers. 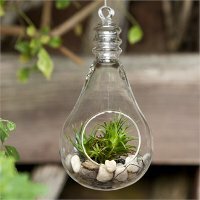 Plants can certainly bring a feeling of home to a business, but you have to make sure you take care of them. Containers require a lot of attention, often needing watered several times a day. While you can move potted plants that have died or become scraggly away from traffic areas, window boxes are more permanent fixtures. If you don’t anticipate being able to always provide daily care, it might be worth investing in self-watering window boxes. 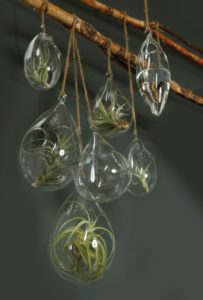 If finding time for plant care is a real concern, ask nursery staff to help you select plants that are low-maintenance. Plants with compact growth habits, that shed their old flowers without help and can tolerate high heat, may be your best bet. Unless your boxes are always in the shade, the summer’s heat radiated off paved surfaces can wilt delicate plants in no time flat. Adding plants to your storefront is an easy way to attract passers-by and upgrade your brand. Even if you don’t have a green thumb, simple tools can make it foolproof. 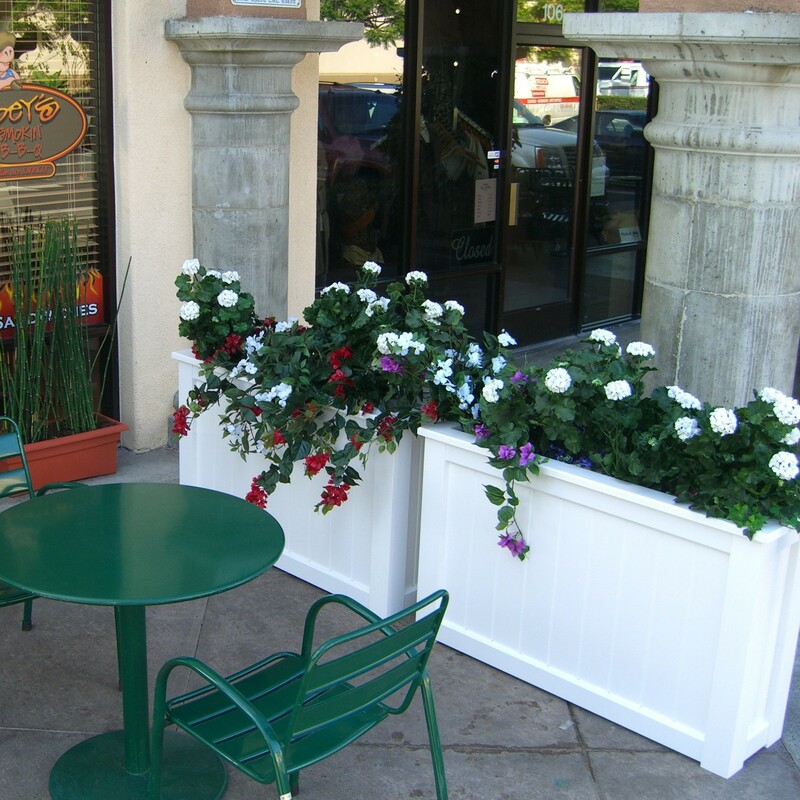 For more help with adding window boxes and planters to your storefront, call Hooks & Lattice today! Window boxes add charm to any storefront. These ornate flower boxes have an old-world feel. A good rule of thumb: Match the width of the flower box to the width of the window. 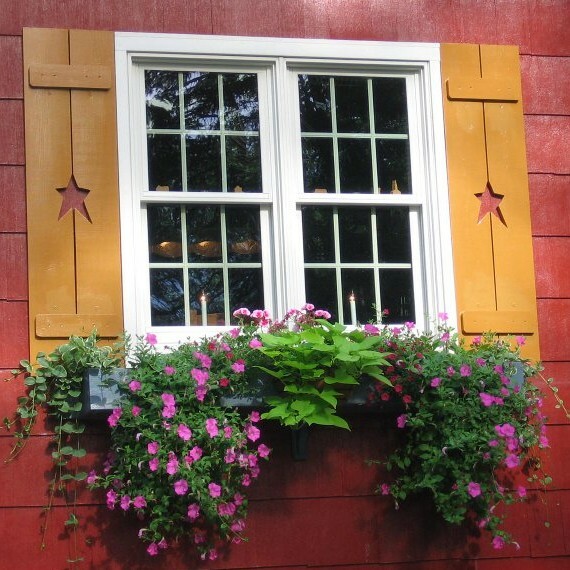 Use smaller flower boxes on smaller windows, and larger ones on larger windows. 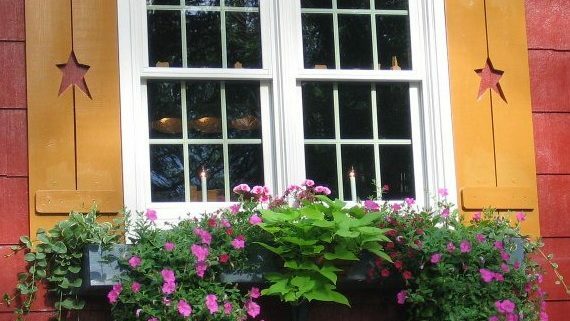 Matching the right window box to your home can add curb appeal, but there are many things to consider before making a final decision. What materials should the box be made of? How big should the box be? 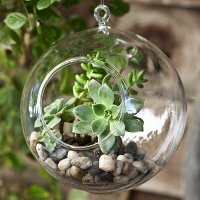 What size and depth is best for the plants that you want to pair with your home? For windows with shutters, consider using a flower box wider than the window. Once you’ve settled on a flower box material and style, deciding how long your new window boxes should be is the next big decision. In general, window boxes look best if they are the same width as the window, but there are exceptions to the rule. For example, if your home has shutters or wide exterior trim pieces, you may want your window boxes to run under these architectural features or sit slightly inside. Since many windows are around three feet long, almost every window box style is available in 30″ and 36″ lengths. When placing a window box on a deck or porch railing, it should fill the space without making the railing unusable. Leave several inches between the end of the window box and any steps so that your growing plants don’t make these spaces unsafe. Use a cardboard cut-out or chalk outline to help yourself visualize the perfect window box for your space if you’re unsure of the right size. This 96″ long window box was custom made for a homeowner who wanted something impressive! Very long flower boxes look stately. 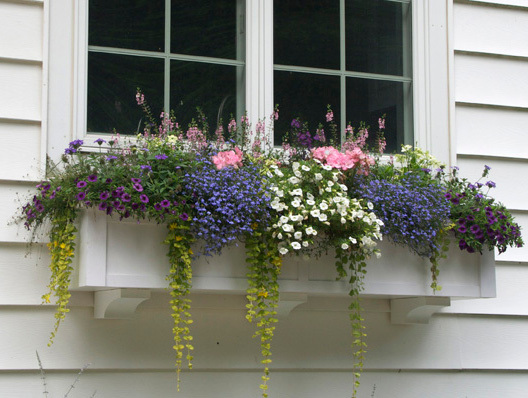 For a very long window, railing, or fence, you can either mount several small window boxes or one large one. Most Hooks & Lattice window boxes can be purchased in 60″ and 72″ lengths, and many can be manufactured in even larger custom sizes. 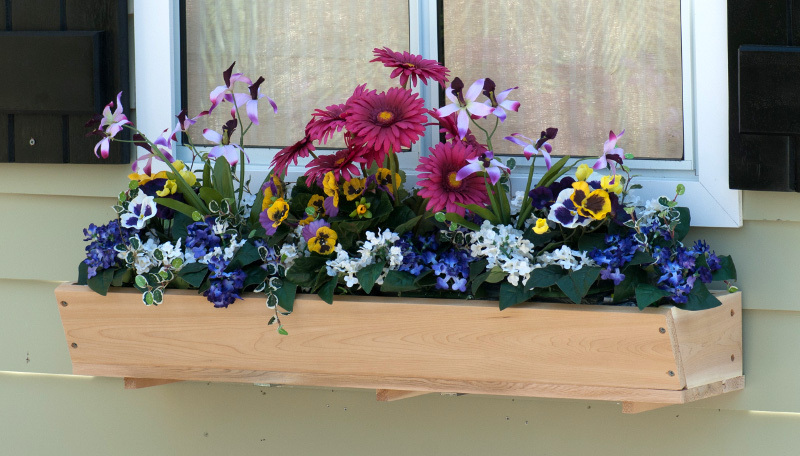 We’ve built flower boxes over 100″ inches long! Long window boxes look dramatic and impressive; just remember that you’ll probably need some serious help to lift and mount them. This extra-wide, extra-deep window box has lots of room for plants and their roots. Window box suppliers like Hooks & Lattice usually offer our most popular boxes with standard dimensions and extra-large boxes that are wider and deeper than usual. Standard boxes are a good fit for many homes, but sometimes the extra-large flower boxes are more appropriate. Organic Gardening magazine recommends measuring the height of your windows before settling on a size. A box that is 20 to 25 percent of the height of your window feels adequately robust on most homes. If you choose very large brackets for your flower boxes, consider their visual impact in your decision as well. Bigger boxes have a practical benefit: Because they hold more soil, they won’t dry out as quickly, and so they will allow you to plant less drought-tolerant plants. For this reason, we recommend that gardeners in hot climates use XL hayrack window boxes instead of hayrack planters in normal sizes. Deep flower boxes also work better for perennial plants, which tend to root more deeply than annuals. Extra-large boxes are more flexible to plant, even allowing multiple rows of small annuals if you want to create layers of colors. This cedar flower box is just 6″ deep, so your flowers will draw most of the attention. On the other hand, shallow boxes look nice on homes with delicate features, since the smaller box and brackets won’t overwhelm the home’s architectural details. Small window boxes won’t stand out in an obvious fashion, instead providing a subtle space for gardening. Our Tapered Cedar Window Box is just 6″ high, putting the spotlight on your plants. These smaller boxes are great for annuals, herbs and artificial plants. Because they hold less soil, they’ll weigh less, making them easier to lift and mount. As with any décor decision, you should be aware of these design suggestions but ultimately choose whatever looks best to you. Don’t be afraid to defy convention! With some skill, almost anything can look great. Above all, window box gardening should be a fun and relaxing way to express your creativity. Experiment with different options and find the one that suits your style. 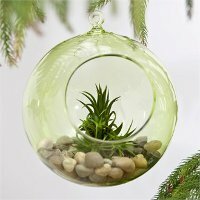 Need flower box sizing advice? Comment below and we’ll let you know what we think! 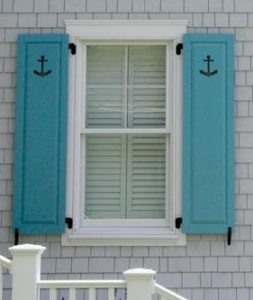 https://blog.hooksandlattice.com/wp-content/uploads/2013/04/window-box-and-shutters-e1383067167238-1.jpg 570 570 Kristi Waterworth https://blog.hooksandlattice.com/wp-content/uploads/2017/10/hl-blog-logo.png Kristi Waterworth2013-04-29 11:47:332017-09-06 08:15:55What Size Window Boxes Should You Use? 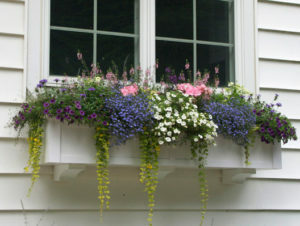 Window boxes and hanging baskets allow you to add color to otherwise drab areas of your landscape. Properly designing these outdoor accessories requires the right combination of plants. Most baskets and boxes contain a mix of medium, short, and trailing plants that work together to create multiple layers of texture and interest. The taller plants are often the most noticeable, while the trailing plants are pulled from the more utilitarian ranks of ground covers and vines. Here are some of our favorites. These trailing plants are popular in hanging baskets: bacopa, sweet potato vine, and calibrachoa. Photos from tamu.edu. Hanging baskets look great with plants that create thick canopies. The most popular trailing plants for hanging baskets produce an abundance of vibrant blooms. 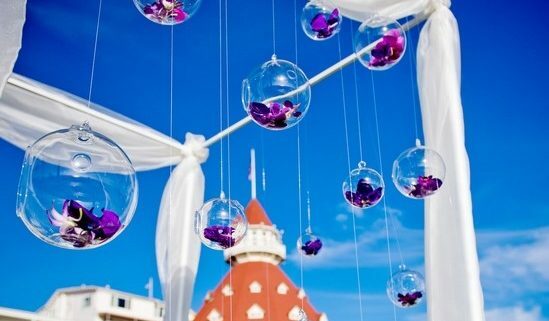 They can turn hanging planters into huge, colorful clusters of flowers suspended in mid-air. Hanging baskets are difficult to maintain for more than a single season, so in many areas, gardeners prefer annuals so they don’t have to worry about their flower baskets in the winter. English ivy (hedera helix) can be grown as an perennial in much of the United States. 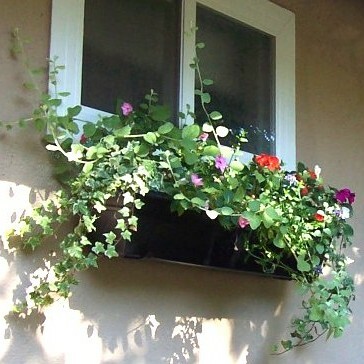 Its vines add a lovely trailing accent to window boxes. 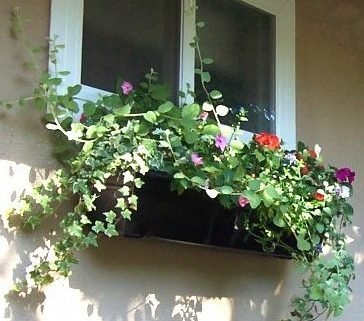 Whether you mount them under windows or hang them from deck railings, flower boxes look great with vines spilling over the sides. Many gardeners choose trailing plants with flowers, but others prefer vibrant green leaves. Any plants that do well in hanging baskets will thrive in window boxes, but may need to be replanted each year. Because they can hold significantly more growing medium than hanging baskets, window boxes can also support much larger, perennial plants to create container gardens that return year after year. When choosing plants for perennial window boxes, make sure that you group species with similar watering needs that do well in your USDA Hardiness Zone. 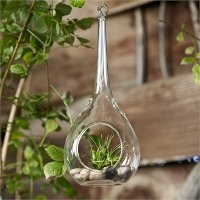 Don’t forget plants that grow up instead of hanging down! Some vines can be grown in planters and trained up a trellis or allowed to fall to the ground. Vines with shorter stems tend to do best, but longer vines can be clipped to the container’s rim once they reach a desired length to create a draped effect. Vines grow aggressively, so be sure to provide plenty of water and fertilizer during their incredible growth spurts. What Are the Different Shutter Styles? Some of the most popular shutter styles: board and batten, louvered, raised panel, and combination. It’s the little things that make a big difference, especially when it comes to your home. Have you ever noticed how something as simple as a window box, hanging basket, or set of shutters can make your house look completely different? Choosing the right shutters, the first time, isn’t the easiest chore, though. 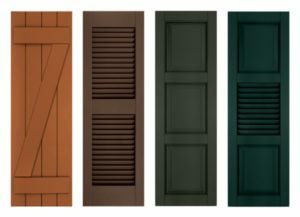 We’ve explained the differences between the most popular shutter styles out there so you can make the best choice for your home. Board and batten shutters are simply constructed from three or four uniform boards tied together with cross-boards at the top, center and bottom. These rugged shutters were originally designed to keep water, wind and bright sunlight out of barns and stables when glass was still prohibitively expensive. Eventually farm houses were fitted with board & batten shutters, as well, to match the outbuildings. Today, board and batten shutters blend seamlessly with charming rustic homes or up against natural products like stone or rough cedar. Louvered shutters are the shutters that usually spring to mind when people think about shutters. These delicate-looking panels are made from a series of slatted boards that allow air and light into the home no matter the position of the slats. Most modern louver shutters are merely decorative, but they continue to have a universal appeal across architectural styles. “Operable” louvered shutters are also available – that is, shutters where the louvers really move. 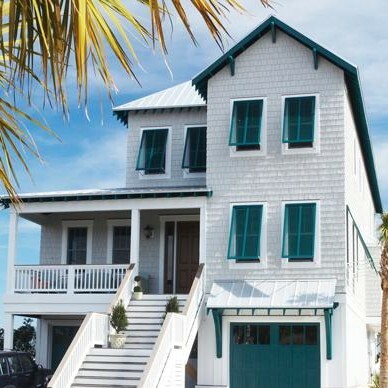 Bahama shutters are perfect for coastal homes. Bahama shutters are the iconic shutters of the tropics. When hurricane weather threatens, these top-hung shutters can be swung down and latched in place to protect glass windows from high winds. On beautiful days, the top-hung, slatted design of Bahama shutters allows tropical breezes to blow through open windows without inviting the heat of the sun. Bahama shutters add a little splash of tropical flair to any home while protecting flooring and curtains from direct sunlight. Raised panel shutters were brought to Colonial America from Western Europe to help keep the cold out during those long New England winters. Unlike other types of shutters, paneled shutters can completely block outside light, making them ideal summer energy savers for homes with little natural shade. Raised panel shutters really stand out on a colonial or saltbox style home. Combination shutters combine the delicate look of louvered shutters with the sturdy construction of raised panel shutters to create a truly American feel. Combination shutters have a quiet dignity that won’t overwhelm even the most delicately detailed home, making them the perfect complement to nearly any style structure. Add character to your shutters with a cut-out design. Cut-Out shutters allow you to add a customized touch to your home with designs and geometric patterns cut from raised panel, combination or board and batten shutters. After choosing the style of shutter that best compliments your home, these shutters are further enhanced with your choice of design. Cut-out shutters enhance many homes, but were most popular from the 1920s to 1950s. 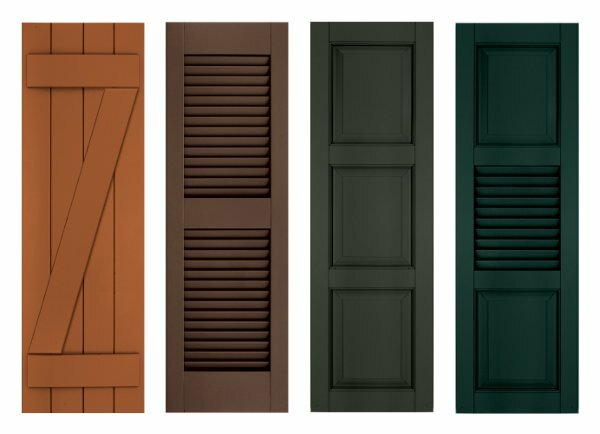 How should you decide which style of shutters to add to your home? That depends on your personal style and the look you’re going for. 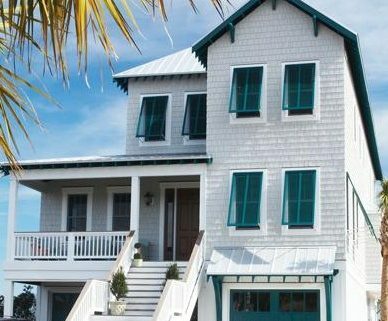 Board and batten shutters are appropriate for a country home, raised panel shutters fit in on a classic brownstone, and Bahama shutters complement a coastal beach house. Cut-out shutters let you express your whimsical side, while louvered shutters are more traditional. The material used to manufacture the exterior shutters might also play a role in your decision. Vinyl shutters are the most affordable, and it’s easy to find vinyl versions of the most popular shutter styles. Super durable fiberglass shutters, however, may not be available in every design. Hooks & Lattice features an online showcase of these popular shutter styles with many options to complement your home’s design. Check out our handy guide to measuring your windows for the best shutter fit! https://blog.hooksandlattice.com/wp-content/uploads/2013/04/bahama-shutters-e1383067289811-1.jpg 388 388 Kristi Waterworth https://blog.hooksandlattice.com/wp-content/uploads/2017/10/hl-blog-logo.png Kristi Waterworth2013-04-02 16:42:382017-08-14 17:25:59What Are the Different Shutter Styles?